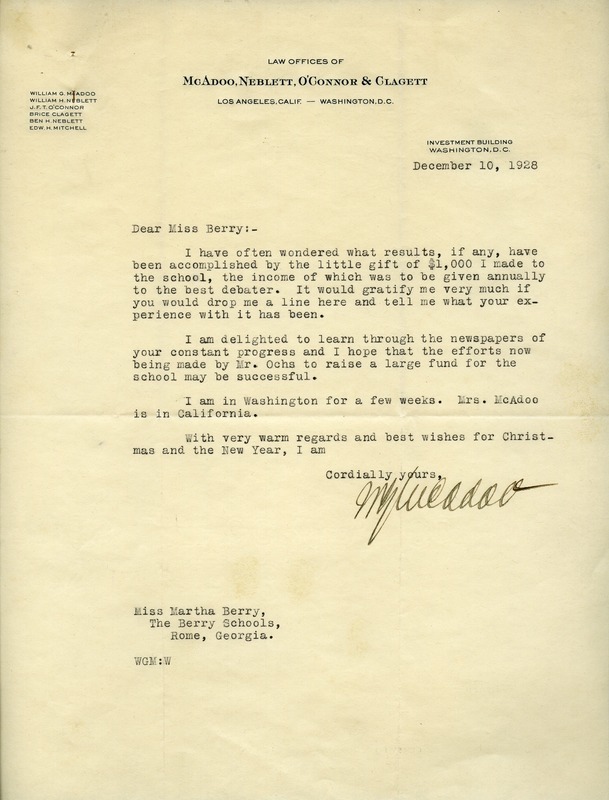 William McAdoo writes to Martha Berry and asks her to give him some information how the interest from his $1000 gift to the school is being used to awarded the best debater. William G. McAdoo, “Letter from William G. McAdoo to Martha Berry.” Martha Berry Digital Archive. Eds. Schlitz, Stephanie A., Christy Snider, et al. Mount Berry: Berry College, 2012. accessed April 24, 2019, https://mbda.berry.edu/items/show/8289.